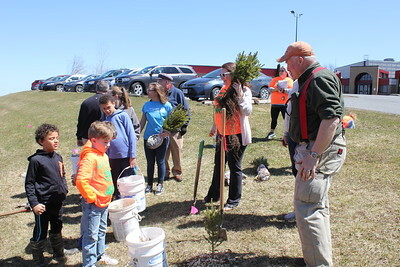 Charles Pritchard - Oneida Daily Dispatch Oneida Rotary with members of Interact and Madison County 4H Club come together to plant trees for Earth Day on Sunday, April 22, 2018. 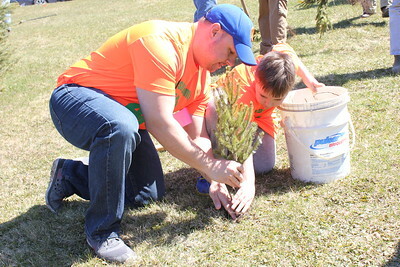 Charles Pritchard - Oneida Daily Dispatch Oneida Rotary Perry Tooker IV, shows the proper method to plant one of the 60 white spruce for Earth Day on Sunday, April 22, 2018. 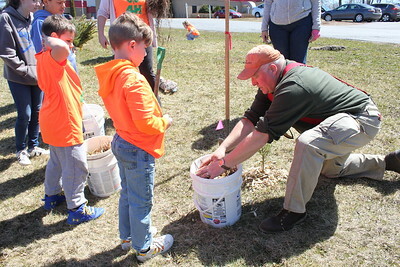 Charles Pritchard - Oneida Daily Dispatch Oneida Rotary Perry Tooker IV explains the importance of mulching for the new saplings for Earth Day on Sunday, April 22, 2018. 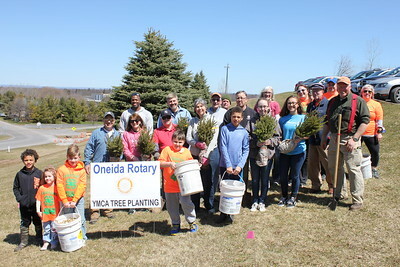 Charles Pritchard - Oneida Daily Dispatch Oneida Rotary plants its first tree for Earth Day on Sunday, April 22, 2018. 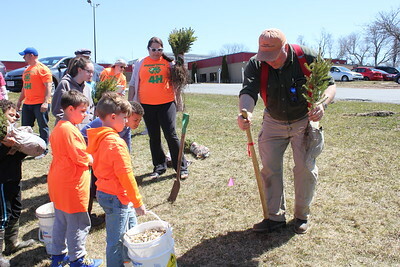 Charles Pritchard - Oneida Daily Dispatch Ian Farwell, left, and Alexander Farwell of Madison County 4H Club for Earth Day on Sunday, April 22, 2018. 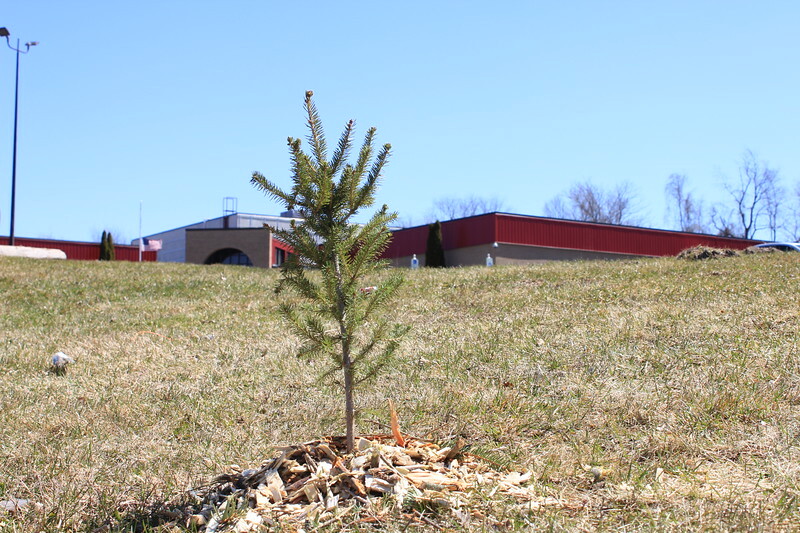 Charles Pritchard - Oneida Daily Dispatch One of the first trees planted for Earth Day by Oneida Rotary outside of the YMCA on Sunday, April 22, 2018. 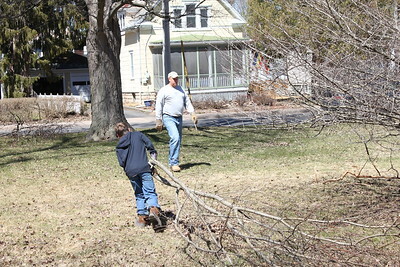 Charles Pritchard - Oneida Daily Dispatch Clean up starts in Allen Park in Oneida on Sunday, April 22, 2018. 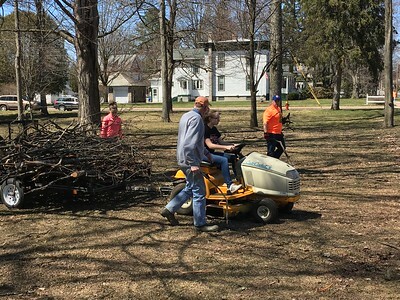 Charles Pritchard - Oneida Daily Dispatch Members of Oneida Rotary, Madison County 4H Club and Interact clean up Allen Park for Earth Day on Sunday, April 22, 2018. 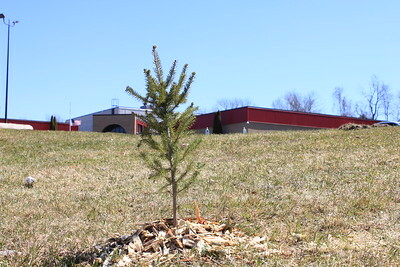 One of the first trees planted for Earth Day by Oneida Rotary outside of the YMCA on Sunday, April 22, 2018.